"Let's call it an album. Let's call said album Delta. And let's get said album out in November." Not a drill. Everyone's favourite folksters (and often, not-so-folksters) Mumford & Sons are back with new music. Since smashing onto the scene with their incredible debut record Sigh No More in 2009, their rise has been pretty stratospheric. Two more albums, worldwide arena tours, headline slots at some of the world's biggest and most prestigious festivals and receiving a Best Album Grammy award for Babel are just some of the things they've been up to over the last few years. 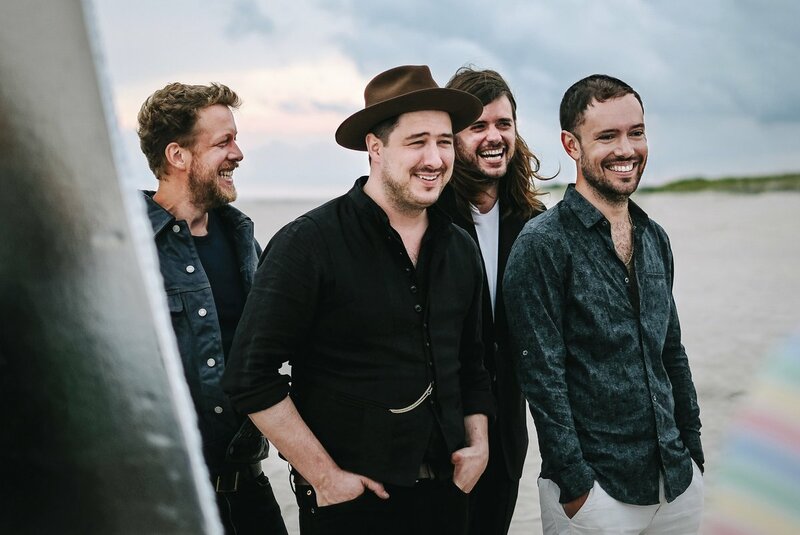 Not to mention frontman Marcus Mumford producing Gamble For A Rose, the superb second record from King Charles, and Ben Lovett opening one of London's best new music venues, Omeara. From the first days of Sigh No More they became an instant favourite of mine, introducing me to a new style of music and opening up a world of new artists to me, even now. Most notably, they introduced me to one of my now absolute favourite bands, Dawes, when I saw them opening up a show for them in 2012. The two bands coming together to cover With A Little Help From My Friends for the show's encore is a pretty accurate representation of Mumford's intense desire to collaborate with other artists both on and off of the stage. Ben's label Communion, which I very often cite on the blog, has been a massive reference point for my music taste over the last few years, helping me to discover some of my favourite new artists and experience some of the best live music. In short, they're one of my favourite bands and honestly mean the world to me, so the prospect of new music, which they've been teasing for a few weeks now, was pretty exciting. They premiered brand new tune Guiding Light on Radio 1 last night with Annie Mac as her 'Hottest Record in the World' and they definitely didn't disappoint. It's the first single from fourth studio record Delta, which is due for release on the 16th November. Fans are describing the track as blending their latest record Wilder Mind, which took a fairly synth-ladened route, and their earlier, more acoustic tracks. It's a beautiful combination, and one that shows a band who are refusing to set themselves boundaries sonically, with Winston discussing in the radio interview that at the start of recording, the band fell back in love with the acoustic instruments that they didn't use on the latest record, but with a desire to "make these instruments sound not like these instruments [...] trying to make the banjo not sound like a banjo". Listen back to the radio premiere and interview here from about 25 minutes. I for one can not wait to hear the record! The band are announcing a string of tour dates to support the release of the record in a couple of weeks - make sure to pre-order the record through their website to gain access to the pre-sale - I can attest to their live shows being a joy to be a part of! Follow Mumford & Sons - Facebook | Twitter | Instagram.